There are many things you need to take care of much earlier than when you start crafting your undergraduate dissertation and submitting a properly formed and relevant literature review is exactly one of those small but extremely important things without which you can’t write a top-notch dissertation! A literature review's purpose is to gather all the available sources related to your paper’s topic (the ones you have found in process of conducting your research) in one place and to evaluate them. Why is it so important? Think of it this way – if a dissertation is your final piece of work, then a literature review is one of your best drafts which doesn't need to be not so polished but without it you can’t reach the desired results. Therefore, it is a vital part of your work! Of course, you always have a possibility to assign this task to a company that offers online essay writing services and get a literature review written by a specialist. However, let’s first try to break down what it is. Itemization of the gaps that you are planning to fill with your research. Prove that you are able to conduct a study that will fill in the existing gaps and help find new and fresh ideas or solutions to an existing problem. Does not sound too bad does it? 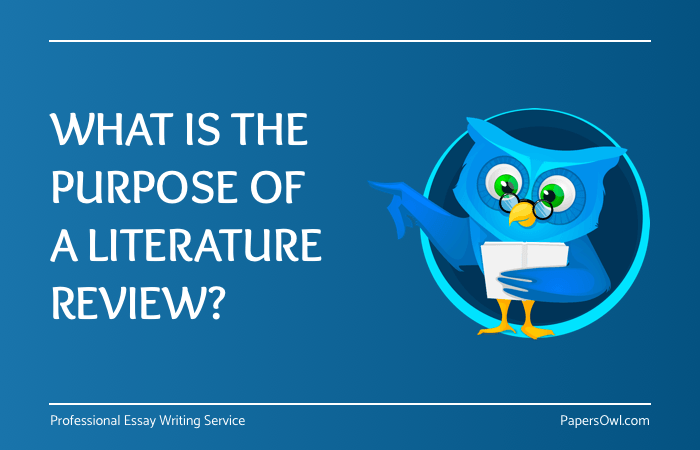 Now that you understand the purpose of a literature review and have a clear understanding of what it has to consist of, you should find it much easier to complete this task. However, sometimes having the necessary knowledge does not save the situation. Therefore, if due to a lack of time or other issues and you are not able to prepare this paper within the required period, do not stress out because there is always an alternative solution! For example, you can ask a friend of yours to assist you or to get a guaranteed result by requesting help from a top-level literature review service.